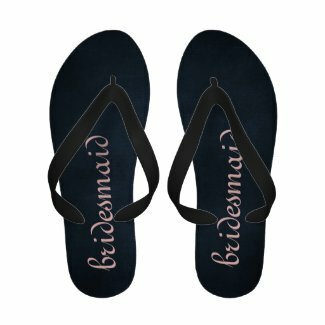 Cool wedding flip flops from The Flip Flop Shop---featured here are the black and pink bridesmaid flip flops, with pink script writing. 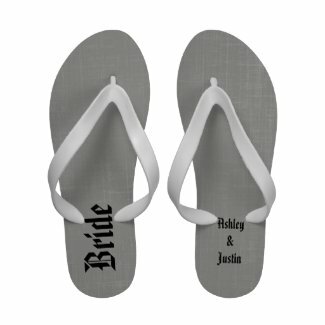 Color of writing can be customized---or you can put the bridesmaids names on one sandal and bridesmaid on the other. These flip flops feature the popular chalkboard design that's picking up steam lately.